Answer "What kind of character Dacshunds have?" This "What kind of character Dacshunds have?" 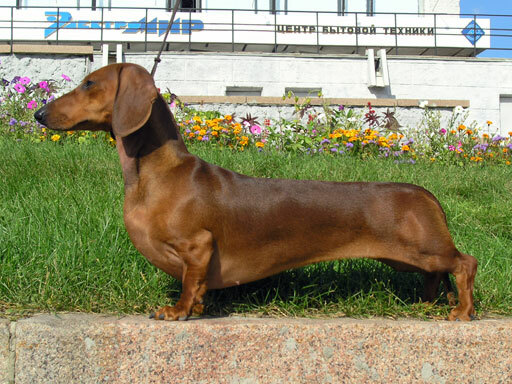 answer for dog breed Dachshund was viewed by 771 visitors. Dachshunds are small and clumsy, but their character unites blind love to their owner, passionate temper and outstanding tenderness towards family members. Dachshunds are always friendly towards all the animals in their families, but they don't like strangers-animals, like almost any other dogs. To make your Dachshund bark less, you should give it a sufficient amount of time on the street. 1 hour per day would be enough to spend all the excessive energy on physical exercises, instead of barking and naughtiness. Dachshunds always require a big amount of attention to themselves. If they don't receive it, they start destroying everything that surrounds them. Sometimes they can even become aggressive. Discipline and training is very important for Dachshunds due to their selfish character. 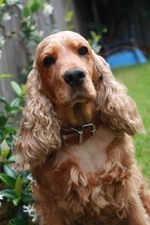 Well-trained dog of this breed is very loyal and loves its owner. Dachshunds are able to protect themselves, so they will easily start a fight with any animal they feel threat from. The dachshund can be trained, if you are insistent and demanding enough. It is important to teach your pet commands such as "Here", "Out", "Sit", and "Lie down". Your dog will know all the common commands that are used in daily life and, so you will be able to control your Dachshund in complicated situations. RU: Какой характер у такс?